Looking for a way to improve your tumbling skills? Thinking of trying out a new sport like trampoline? Now's the perfect time with our new spring recreational session! 🌸 You can see our schedule online at https://buff.ly/2JdZEpo or talk to us through email at info@oaagym.ca! Our summer camp registration is now open! We're so excited to offer 4 weeks of summer camp fun for the first time! Each week of camp will feature daily trampoline and tumbling training with certified coaches across our Olympic sized trampolines, power track, double-mini trampoline and sprung floor. Each week will also feature a special day corresponding with the week's theme along with crafts, camp games and lots of fun! One full week of camp is $190 plus HST. Contact us for daily and half-day rates. Ages: 4+ Register before May 1, 2019 and receive free before and after care (8 am - 5 pm)! Register online at https://goo.gl/forms/W9ySXNfxbFJ3fHAB2. Contact us for more information or to register by phone at 905 492 9299 or email at info@oaagym.ca. The spring session of our recreational program starts tomorrow, but that doesn't mean it's too late to sign up! Check out the schedule at our website at https://buff.ly/2HvNvdY. Register by emailing us at info@oaagym.ca! 🎉 Our Spring Recreational Schedule is here! 🎉 We've added some new classes and are introducing a new timing schedule. Classes now end 5 minutes earlier to allow our coaches to speak with parents at the end of each class! We want to make sure parents know how their athlete is progressing in our program. Check out our schedule below! You can register with us in person or by email at info@oaagym.ca. Our spring session starts on March 29! Register now - Spots are limited! 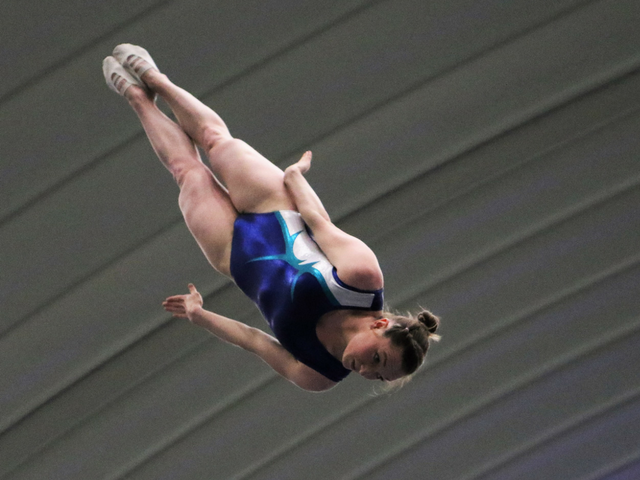 See over 35 photos featuring the amazing feats of trampoline and power tumbling athletes from across Ontario.